Professor Wole Soyinka, the Nobel Laureate, said he ought to have died going by his lifestyle. It was the shocking response by the 83 year-old professor of literature and political activist to a question by the Financial Times of London, on how long he intends to live. “I lost interest several years ago,” he said, also revealing an argument he once had with the late Cuban leader Fidel Castro on the perils of smoking. “I had an argument with Fidel Castro about it. By that time Castro had got religion about the perils of smoking and he rounded on a guerrillero, saying, ‘This is bad for you. I have medical evidence.’ He started bullying him. I said, ‘Wait a minute. Leave the man alone. 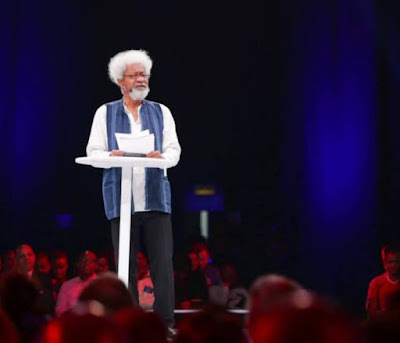 Let him find his own time.” Soyinka says this triggered a two-hour discussion. The conversation dwelled on Soyinka’s life from childhood in Abeokuta, with the famous writer revealing also his life with Fela Anikulapo Kuti, his equally famous cousin. While both of them shared an apartment in London’s Bayswater, in the late 50s. After graduating at Leeds University, the already prolific Soyinka wrote plays including The Lion and the Jewel, which attracted the attention of London’s Royal Court Theatre. His first work to appear there was a one-act play about apartheid South Africa called The Invention. It was preceded by a poetry recital to which Soyinka invited his cousin, a young musician called Fela Kuti, to accompany him on stage. That was a big break for Fela, who went on to become the legendary father of Afrobeat, the FT reported.